When you visit your dentist regularly, he or she has the opportunity to thoroughly examine your mouth to check for signs of decay, cavities, periodontal disease, and oral cancer. 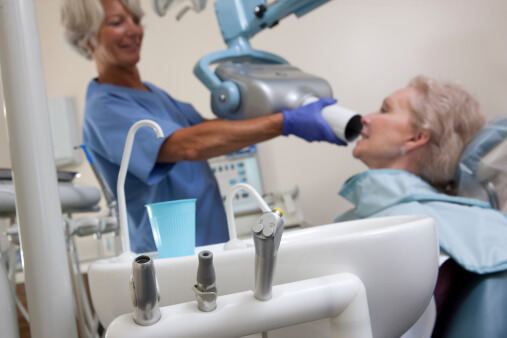 Keep reading to find out why these oral cancer screenings are so important. As with most kinds of cancer, the best chance you have to beat oral cancer is to find it early. If you visit the dentist once every six months, he or she has the opportunity to spot signs of oral cancer in its earliest stages, which gives you the best chance to treat it before it develops into a larger health concern. People who smoke or use other forms of tobacco, drink a lot of alcohol, or have a history with some form of oral cancer are at a higher risk of developing this kind of cancer. 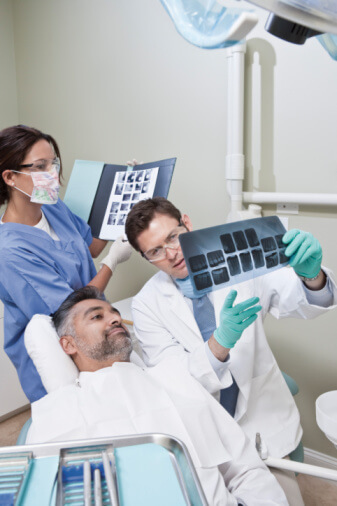 Oral cancer screenings help dentists monitor these high-risk patients to see if any problems develop. If they spot any signs of an issue, they can provide immediate treatment. If your dentist notices anything strange in your mouth, he or she can take the appropriate steps to determine if you actually have oral cancer. The dentist will probably request that you come in for a follow-up visit within a few weeks. If there are still any abnormalities in your mouth at the second visit, the dentist can decide whether or not to proceed with a biopsy to determine if the unusual areas in your mouth are cancerous. Whether you are a high-risk patient or you just want a routine oral cancer screening, Dr. John R. Carson is here for you. Dr. Carson combines expertise with top technology to offer all of his patients the best oral health services in the Tucson area. To learn more about Dr. Carson or to schedule an appointment, call (520) 514-7203. Before your Tucson dentist decides to fit you with dental implants, he or she must first thoroughly examine your mouth to ensure that you are a good candidate for the procedure. Keep reading to find out what to expect from this preliminary examination. At the beginning of the dental implant process, you will get X-rays that give the dentist a detailed picture of the inside of your mouth. These X-rays show the condition of your jaw and allow the dentist to see if there are any other areas of concern in your mouth. These X-rays help the dentist determine whether or not you have enough jaw bone left to support the dental implants. Some dentists prefer to take CT scans to get a more detailed picture of the mouth. The dentist will also perform a thorough periodontal exam to check on the condition of your gums. If you do have gum disease, the dentist must first develop a treatment plan to restore healthy gums before inserting the dental implants. The dentist must also look at every tooth individually. If there are any cavities present, they must be treated before you can move on to the next step of the dental implant process. The dentist will also take dental impressions to see the condition of your bite and to figure out how the dental implants can fit in with the rest of your teeth. Some dentists take pictures to help them create the best replacement teeth for your mouth. John R. Carson, DDS is here to help you get the healthiest teeth and gums. Whether you need dental implants or a general cleaning, our team is here to give you some of the best services in the Tucson area. To learn more about our office or to schedule your next appointment, visit us online or call (520) 514-7203. When it comes to your oral health, preventative measures can help you avoid serious issues that might affect your teeth and gums. Read on to find out why you should talk to your dentist about investing in dental sealants. A dental sealant is a thin coating that the dentist can apply to the surface of your teeth. Sealants are typically used on the chewing surfaces of the teeth in the back to offer an extra barrier of protection against plaque and bacteria. These deep grooves are hard to keep clean with just a toothbrush. A dental sealant can help you prevent food and bacteria from getting stuck on the tooth and leading to cavities or decay. 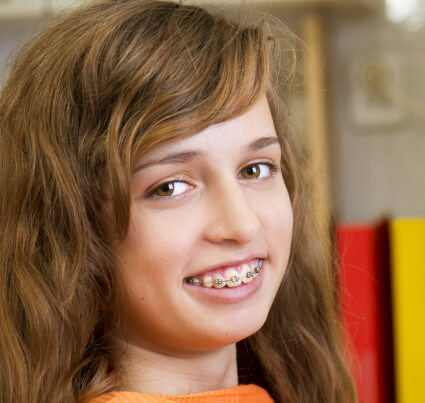 Since molars and premolars are highly susceptible to decay, dentists often give children and teenagers sealants to help protect their mouths. Any adult that does not already have decay or fillings in the teeth can benefit from sealants, though. If you want to lower your risk for tooth decay and cavities, it might be time to talk to your dentist about investing in sealants. With the proper care, a dental sealant can protect your teeth from decay for up to 10 years. In order to get the most use out of your sealants, you should make an effort to brush your teeth twice a day and floss once a day. You should also visit your dentist twice a year to get deeper cleanings and checkups. While you are in the dentist’s office, he or she can examine the sealant to make sure it is still doing its job. John R. Carson, DDS is here to help you with all of your oral health issues. From dental sealants to teeth whitening services, we do everything we can to help you get a healthy, beautiful smile. To learn more about our services or to schedule your next appointment at our Tucson office, call (520) 514-7203. Cosmetic dentistry can help you improve the look and feel of your smile. If you are embarrassed about the condition of your teeth, cosmetic tooth bonding could be your ideal solution. Keep reading to find out how. Cosmetic tooth bonding is a solution for a wide range of cosmetic issues. Whether you have chipped teeth, broken teeth, discolored teeth, or abnormal spaces between your teeth, tooth bonding offers a viable solution to get a smile of which you can be proud. If you choose to get cosmetic tooth bonding, you can expect natural-looking results. The bonding material is a tooth-colored resin that fits perfectly into your mouth. The dentist shapes the resin to match the shape of your tooth to restore aesthetic appeal and function to your mouth. Dentist like to use cosmetic tooth bonding on patients who do not have severe issues but still want to improve the overall look and feel of a smile. Cosmetic tooth bonding is considered a less invasive treatment option than veneers or other cosmetic options. If you want to improve your smile without adding a lot of stress to your mouth, cosmetic tooth bonding is a great option for you. If you do not care for broken or chipped teeth, they might lead to other oral health issues. Fixing the problem with cosmetic tooth bonding helps you reduce your risk for these other issues and maintain a healthy and beautiful smile. If you are interested in cosmetic tooth bonding, John R. Carson, DDS can help. With some of the best dental technology in the Tucson area, Dr. Carson can diagnose and treat your oral health issues. Stop being ashamed of your smile when cosmetic tooth bonding can instantly restore your function and aesthetic appeal. To learn more, visit us online or call (520) 514-7203. Is Your Toothbrush Affecting Your Health? Brushing your teeth twice a day is an important way to maintain your oral health. If your toothbrush is old, though, it might be doing more harm than good. Keep reading to learn find out if your toothbrush is negatively affecting your health. Bacteria and viruses can survive on the bristles of your toothbrush for weeks. Even if you are not sick, you could transfer some of these organisms onto your toothbrush and increase the amount of bacteria and viruses to which you are exposed. It is important to thoroughly clean your toothbrush to decrease the risk for coming into contact with these viruses and bacteria. After you use it, you should rinse it off with tap water. If you are sick, you might want to soak the brush in some antibacterial mouthwash or run it through the dishwasher. When your toothbrush gets too old, it might not clean your mouth as well as it should. Without meeting its cleaning potential, your toothbrush might leave plaque and bacteria in your mouth, which could compromise your overall oral health. You should regularly replace your toothbrush every 3-4 months or whenever you notice that the bristles are starting to fray. You might even want to throw away your toothbrush after a bad illness to ensure that you do not spread any of those germs. It is important not to share your toothbrush with any friends or family members. When you use someone else’s toothbrush, you are putting their saliva and bacteria into your mouth. This increases your risk for developing certain illnesses and might even make you more likely to suffer from tooth decay. Dr. John R. Carson is one of Tucson’s top dentists because he gives all of his patients access to the oral health services that they need. Whether you need a general cleaning or a root canal, our staff is here to help you maintain healthy teeth and gums. To learn more about our services, call (520) 514-7203. Healthy teeth start at home. The better your dental habits are, the better chance you have of maintaining strong teeth and a beautiful smile. Keep reading for some tips on how to keep up good dental habits. 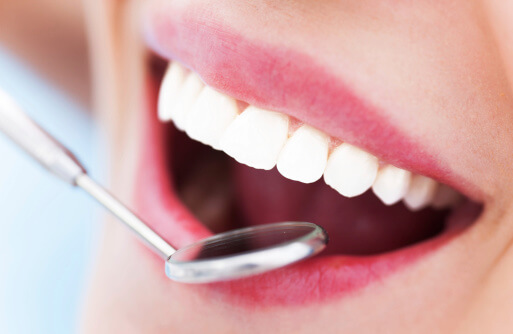 Oral hygiene is one of the most important aspects of an overall healthy smile. You should brush your teeth twice a day every day. Use a soft-bristle brush and make sure to brush your teeth for at least two minutes. Floss once a day to remove any plaque or bacteria that might be stuck between your teeth and gums. Properly cleaning your mouth helps you avoid decay, cavities, and periodontal disease. Food with high levels of sugar and acid can increase your risk for problems like tooth decay. Try to avoid eating too many foods with a lot of sugar or acid. If you do occasionally indulge, you should brush your teeth after you eat to prevent the sugar and acid from coating your teeth. Your saliva serves as a natural cleaning system to remove extra food that might build up on your teeth. Drinking a lot of water enhances the effectiveness of your saliva and makes it much easier to keep your entire mouth clean. Try to drink a glass of water with every meal for the best cleaning results. Even if you are diligent about cleaning and caring for your teeth, it is still important to visit your dentist once every six months. These visits enable you to get a deeper cleaning and a checkup that shows you if there are any problems with your teeth and gums. Dr. John R. Carson wants to help you get the healthiest and most beautiful smile imaginable. Come in today for a cleaning and checkup so our staff can ensure that your teeth and gums are healthy. To learn more about one of Tucson’s top dentists, visit us online or call (520) 514-7203.